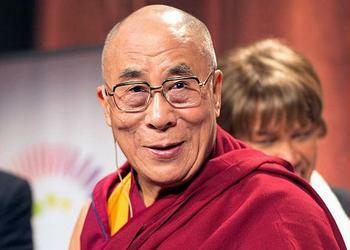 PORTLAND, Oregon, April 12, 2013 (ENS) – His Holiness the 14th Dalai Lama, Tenzin Gyatso, will be in Oregon May 9 through 11 to lead a three-day conference on the environment called the Environmental Summit: Universal Responsibility and the Global Environment. The 77-year-old spiritual leader of Tibetan Buddhists, who lives in exile in Dharamsala, India, will share his views on the responsibility each human being has for the welfare of the planet and all of its inhabitants. His Holiness has been conveying the message of universal responsibility for decades. The Dalai Lama was awarded the 1989 Nobel Peace Prize, and universal responsibility was a theme of the lecture he gave when he accepted the award on December 11, 1989. “We must develop a sense of universal responsibility not only in the geographic sense, but also in respect to the different issues that confront our planet,” he told the audience in Oslo, Norway. Congressman Earl Blumenauer, an Oregon Democrat representing Portland, said he is delighted to welcome the Buddhist leader to his city. “Treating people and the planet with respect should be a universal responsibility and the visit of His Holiness is an excellent occasion to highlight that shared promise,” Blumenauer said. Maitripa College is host for all Portland events during this visit by His Holiness. Founded in 2006 as the first Buddhist college in the Pacific Northwest, Maitripa offers graduate studies integrating scholarship, meditation, and service in its Master of Arts in Buddhist Studies and Master of Divinity degree programs. As it opens May 9, the summit will feature an interfaith dialogue, “Spirituality and the Environment,” in which His Holiness will engage with leaders from the Archdiocese of Portland, Rabbi Michael Cahana of Congregation Beth Israel, Imam Muhammed Najieb of the Muslim Community Center, and Grandmother Agnes Baker Pilgrim from the Confederated Tribes of Siletz. Regional leaders participating in these events include Oregon Environmental Council Executive Director Andrea Durbin and Canadian science broadcaster and environmental activist David Suzuki. In addition to his participation in the events in Portland, His Holiness will also offer a public lecture, “The Path to Peace and Happiness in a Global Society,” in Eugene, Oregon on May 10, co-organized by the University of Oregon and the Eugene Sakya Center.